Looking for latest Sneinton Festival news? Check our festival page. 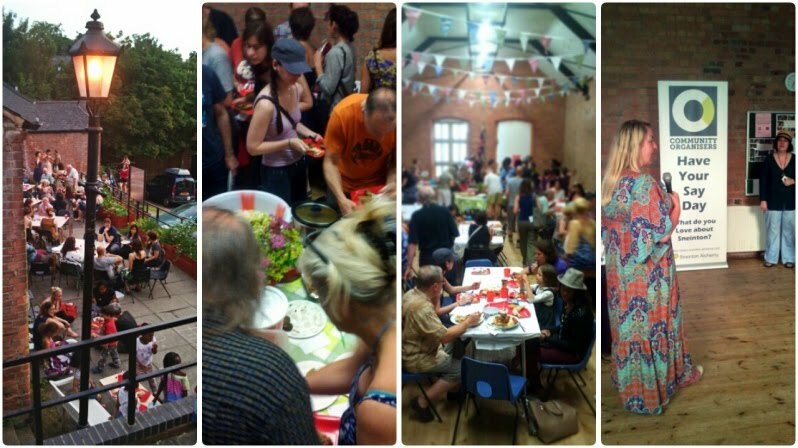 With dishes from every continent in the world, International Food Evening 2013 was a real celebration of Sneinton's diversity. Held this year at the Old School Hall and hosted by The Secret Kitchen Cafe, well over 200 people gathered to share the food and socialise. With beautiful warm weather, conversation on the terrace ran well into the evening- congratulations to Marsha, the community cooks, and everyone involved for this fantastic festival event. For latest updates on the Sneinton Festival, see our Festival page.